Burnout to Outstanding Diet Plan | Can anxiety cause weight gain? 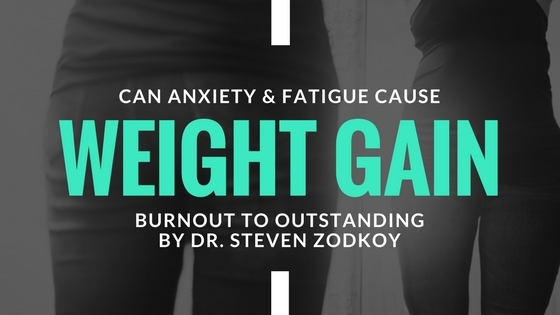 Part one of Dr. Zodkoy’s new book focuses on how our fatigue and anxiety is affecting our weight. Losing weight is extremely difficult for those with Burnout/Adrenal Fatigue or anxiety. Follow our blog to achieve the health and weight you deserve. Follow us on twitter, Facebook and Instagram to insure that you get all the information you need.